Over the Easter holidays we were a hive of activity with multi-sports days, cookery sessions, arts and crafts and weekly trips. In the first week young people attended a dance workshop held at the Southbank Centre, where they choreographed a dance routine and then busted some serious freestyle moves even getting the youth workers involved. 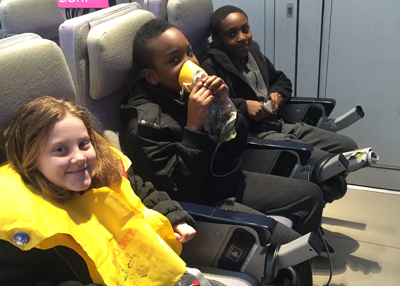 In the second week we visited the Emirates Flight Simulator in Greenwich where young people were able to not only map out their journey but then fly it! Who knows maybe we have some budding pilots in our midst. next post: Blue Hut Beef Burgers!